I grew up in Tucson, Arizona where I trained my own horses for many years for Team Roping, Team Penning, and just riding out in the Catalina Mountains and Sonoran Desert. I spent 21 years in Las Vegas, Nevada until I relocated to Texas. I now live in Pilot Point, Texas with my wife, Kim, and our three children at our training facility. I plan to stay in Texas and continue working with horses and their owners. The services I offer include Performance horse training and showing; specifically Reining, as well as groundwork and riding clinics and riding lessons. Although I trained horses for many years, I started training mustangs and competing in the Extreme Mustang Make Over Competitions in 2009, competing in 4 competitions from 2009 – 2012. During this time, I was introduced to the sport of reining and my passion for Reining has been growing by leaps and bounds ever since. You will see a heavy reining influence in all of my training as I believe that reining is the perfect foundation for any horse. 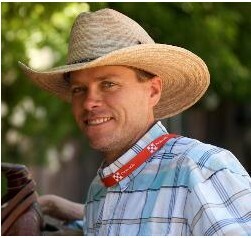 2009 Extreme Mustang Makeover Western Stampede – Top Ten Finalist riding Fist Full Of Dynomite. 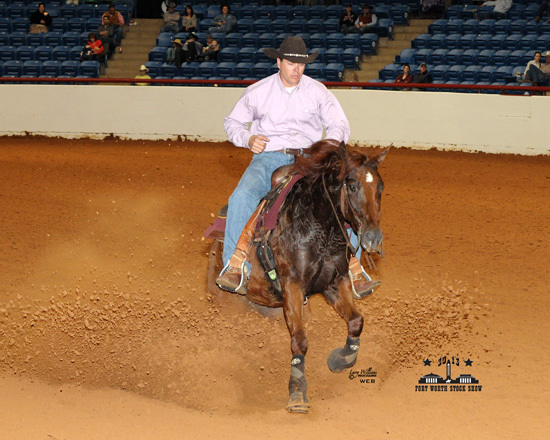 If you would like to take your horse to the next level, call me today at 469-245-7821.